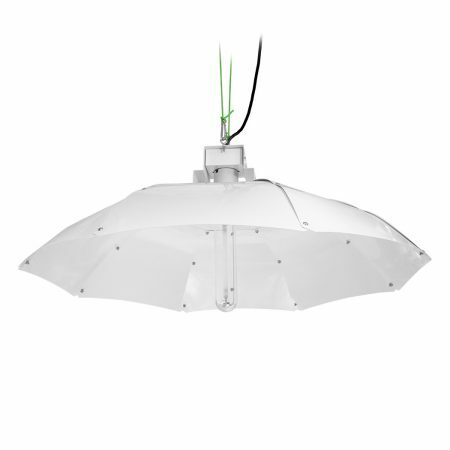 The LUMii MAXii is a simple and easy-to-use Dutch barn-style reflector. 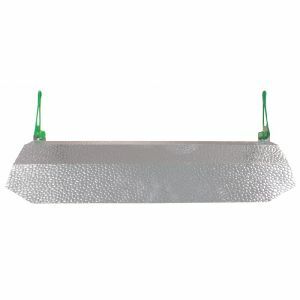 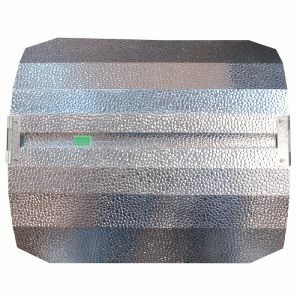 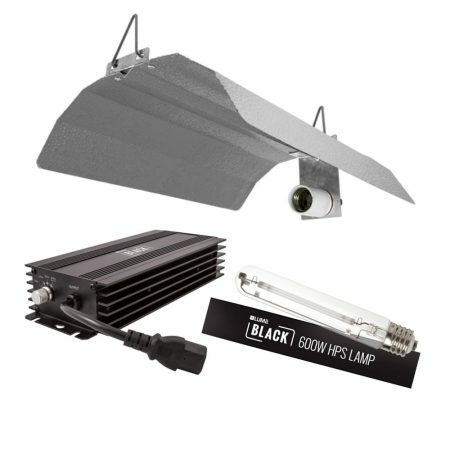 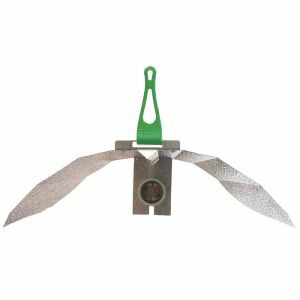 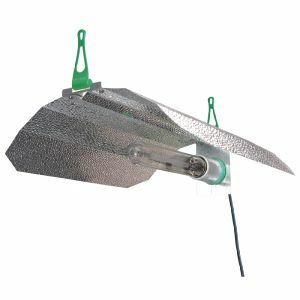 It is an open-ended, highly polished and dimpled lightweight reflector, which gives an efficient and even distribution of light. 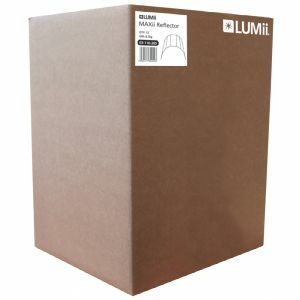 Unlike others on the market, the LUMii MAXii includes a unique lamp holder that is adjustable and designed to fit all E40 lamp types. 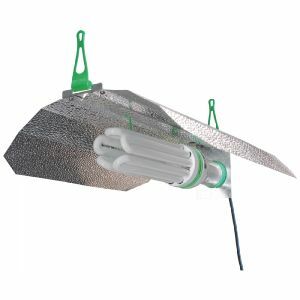 All earth requirements are incorporated into the lamp holder itself; this safety feature means that there is no need for additional components. 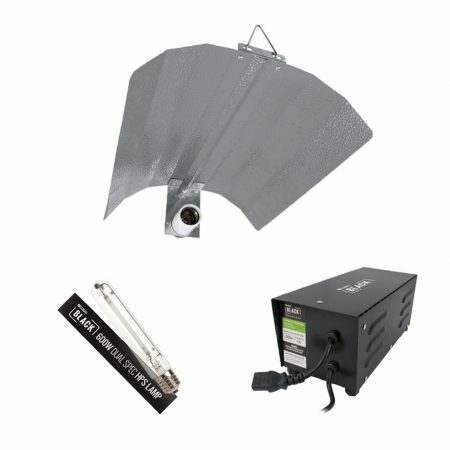 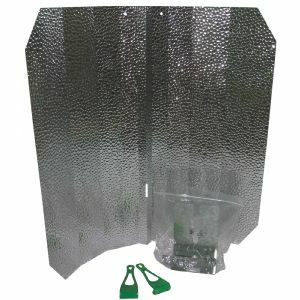 A unique feature of this reflector is that with the addition of the LUMii HID to CFL Converter Set, it can accept a CFL lamp. 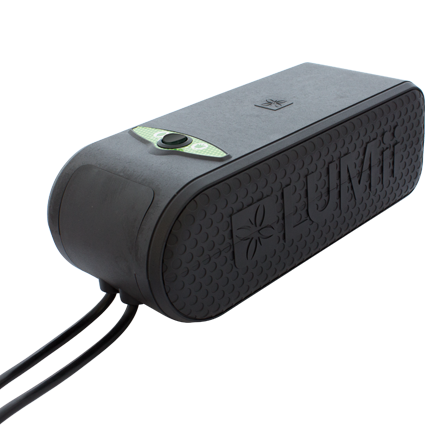 The LUMii HID to CFL Converter Set contains a short additional cord set to convert the suplied IEC to a conventional power supply, as well as an innovative support device to assist with the additional weight of a CFL lamp and to make sure the lamp stays horizontal. 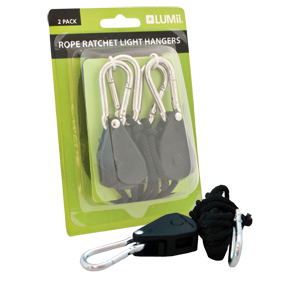 The LUMii MAXii comes as a complete HID reflector set, supplied with hanging hooks.